Hi I have a problem in my account - some passive skills couldn´t up to lvl20. This problem is all time my playing so if report it nobody help me so I must did it by myself. But I think if you could will be good send my some compensation. 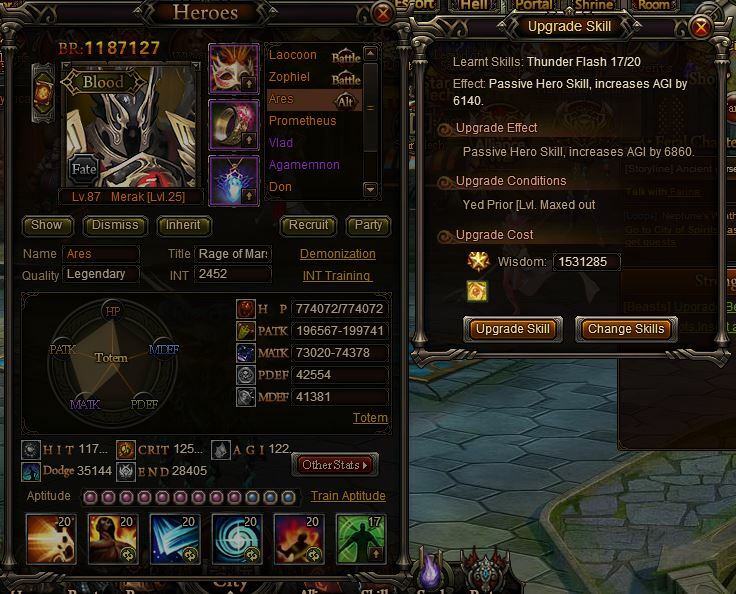 Skills what I taste are in bug: Meditation, Thunder Flash, and one else (idk now which one). I met in game devi and tell it to him and he said they coudn´t help me. So I use only one think what I could - inherit and inherit heroes to use good skill to lvl20 (use only these which works go to lvl20). There is one picture last hero with this bug. Ty for help. Can you confirm if you have enough skill book to upgrade the passive? If I remember correctly, you need at least 4pcs of skill book on level 17. 2019-4-21 13:01 GMT+8 , Processed in 0.087844 second(s), 40 queries .